This innovative concept has been developed in order to help all shrink sleeve market actors increase their ability to manage sleeving projects. 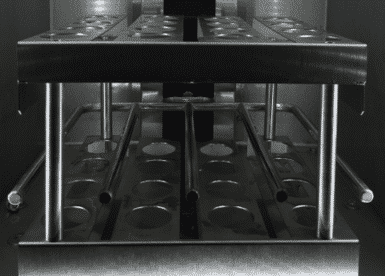 The STEAMBOX PRO™ simulates the shrink tunnel process by using a progressive steam pulverization system along the container in a transversal movement. It comes with a unique auto-steam shrink system that fits in a compact stainless steel case of 800mm*800mm*1800mm. It has been designed in order to simulate a shrink tunnel process using powerful progressive steam pulverization along the container height. The unit is very easy to install, and no need of conveyor or boiler required. 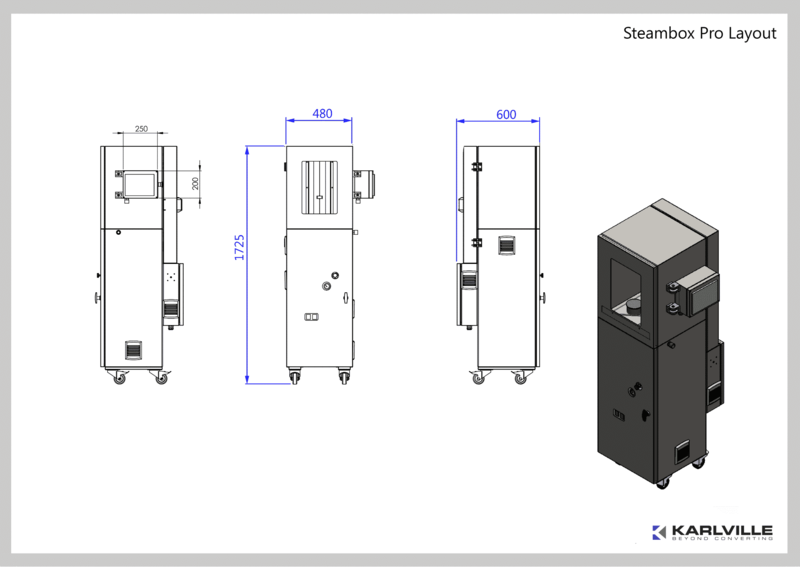 The STEAMBOXPRO comes with an integrated boiler that can reach temperatures of 95ºC max for perfect shrinking. 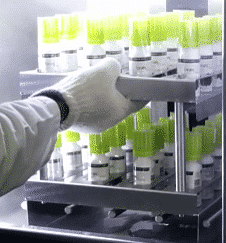 Customized product holders and nozzle on demand when possible (depends of shapes and size).